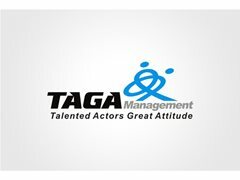 Taga Management is a boutique agency in the North West who represents children, young performers and talented individuals who wish to work in television, film or theatre. We are taking on new faces and would be interested in hearing from talented people who are looking for representation, especially interested in ages 8-25 years. Please note that you will be expected to go on Spotlight, you will be expected to continue with training to be best you can be, and you will be expected to have good headshots. Also note, that castings are short notice and the majority are in London. If you are happy to commit to this and want to have a career in television, film or theatre then we would like to hear from you. We are not an extras agency. We operate across the whole of the UK. We offer a small personal and professional service we work for you and we enjoy what we do!